A consise manual outling the most effective means for surving a disaster. 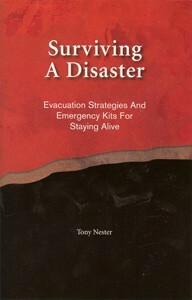 Includes evacuation strategies, essential gear, and an outline of a basic plan to have in place beforehand. Written by a veteran survival instructor, this book covers methods that have worked for real-life survivors and delves in to the practical skills that can be used for preparing your family to successfully survive emergency and disaster situations.